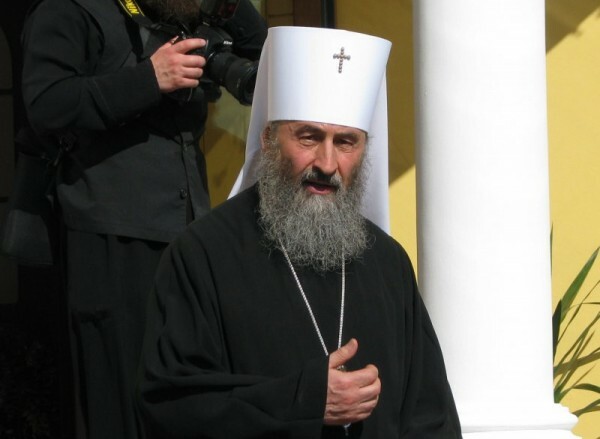 The Primate of the Russian Church Abroad Sends Greetings to His Beatitude Metropolitan Onouphry of Kiev and All Ukraine on the 25th Anniversary of His Hierarchal Service. Embracing Your Beatitude with holy love, we joyfully congratulate you on behalf of the episcopacy, clergy and the Fullness of the Russian Orthodox Church Outside of Russia on the twenty-fifth year of your episcopal consecration. Today, surrounded by the Kursk-Root Icon of the Mother of God “of the Sign,” the uncorrupt holy, miracle-working relics of St John of Shanghai and San Francisco and other holy icons and relics of the Russian Church Abroad, we humbly and in genuine earnesty pray for the prosperity of all of God’s Churches, and with a pure heart commemorate the name of Your Beatitude at divine services, lifting up fervent prayers for the flock entrusted to you. From the depths of our souls, we beseech the Chief Pastor, Christ, to extend your life for many years for the good of the Church, “rightly teaching the Word of Truth,” that you continue to show your flock the path to peace, renewal and salvation. Once again expressing our fervent greetings and heartfelt prayers, we humbly and fraternally ask you to pass along our embrace in Christ to the episcopacy, clergy and the Fullness of the Ukrainian Orthodox Church as they in turn congratulate their Blessed hierarch.